To make the sauce, whisk together tamari (or soy sauce), peanut butter, honey, sesame oil, and grated ginger in a small bowl. Whisk in 2 or 3 tablespoons of water, depending on the consistency you prefer, and set aside. In a large skillet over medium heat, drizzle olive oil and add chicken. Season with salt and pepper and sauté until lightly browned, about 4 to 5 minutes. Add the garlic and sauté for about 30 seconds, mixing it with the chicken. Add broccoli, bell pepper, snap peas and carrots to the skillet, incorporating everything together. Cook an additional 5 minutes, until veggies are tender and chicken is cooked through, then add cashews and green onions and drizzle the peanut sauce over top. 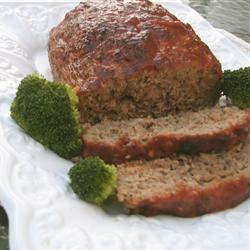 Mix everything together with the sauce, coating well, and cook for one more minute. Serve and enjoy! Yield: 6 servings. Prepare linguini according to package directions. Meanwhile, melt butter with olive oil in a large skillet over medium-high heat; add zucchini and garlic and sauté for 4 minutes or until zucchini is tender. 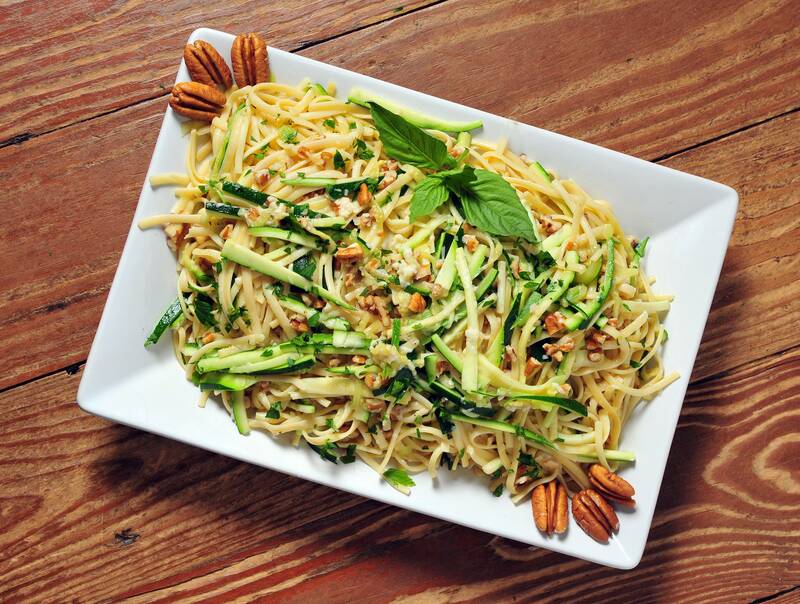 Toss with hot cooked linguini, pecans, Asiago cheese and basil. Season with salt and freshly ground black pepper to taste. Serve immediately. Serves 6. Pour into buttered 9” x 5” x 3” loaf pan. Bake 1 hour at 350°. Serve hot or cold. Serves 6. Preheat oven to 350°. Remove skin from chicken. Mix pecan meal, bread crumbs, salt and pepper. Pour milk into a shallow bowl; coat chicken. Roll chicken in pecan mixture; shake off excess. Put chicken in baking dish in a single layer. Don’t crowd or chicken may become soggy. Bake uncovered 1 hour or until juices run clear. Serves 8-10. In Dutch oven over medium-high heat, in hot shortening, brown chuck roast until well browned on all sides. Add onions, apple cider, brown sugar, salt, pepper and cloves; heat to boiling. 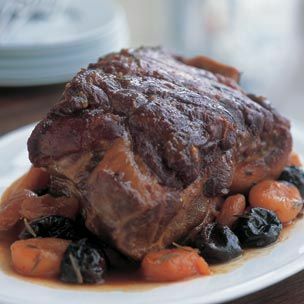 Reduce heat to low; cover and simmer 3 1/2 hours or until meat is almost fork-tender, turning meat occasionally; add more cider if necessary. Add apricots and prunes to mixture. Continue cooking 20 minutes or until meat is fork-tender. Place meat on warm platter. Blend flour and 1/4 cup water until smooth; gradually stir into pan liquids and cook over medium heat, stirring constantly, until mixture is thickened. Serve gravy with meat. Serves 12-14. Chop scallions, separating white and green parts. Pat chicken dry, then cut into 3/4-inch pieces and toss with salt and pepper. Heat a wok or 12-inch heavy skillet (not nonstick) over moderately high heat until a drop of water evaporates immediately. Add oil, swirling to coat, then stir-fry chicken until golden in places and just cooked through, 4 to 5 minutes. Transfer to a plate with a slotted spoon. Add bell pepper, garlic, ginger, red-pepper flakes, and scallion whites to wok and stir-fry until peppers are just tender, 5 to 6 minutes. Stir together broth, soy sauce, cornstarch, and sugar, then stir into vegetables in wok. Reduce heat and simmer, stirring occasionally, until thickened, 1 to 2 minutes. 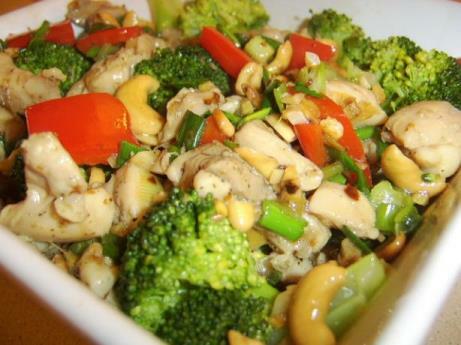 Stir in cashews, scallion greens, and chicken along with any juices accumulated on plate. On a plate, combine flour, salt, pepper and basil. In a bowl,whisk together egg, water and powdered instant milk. 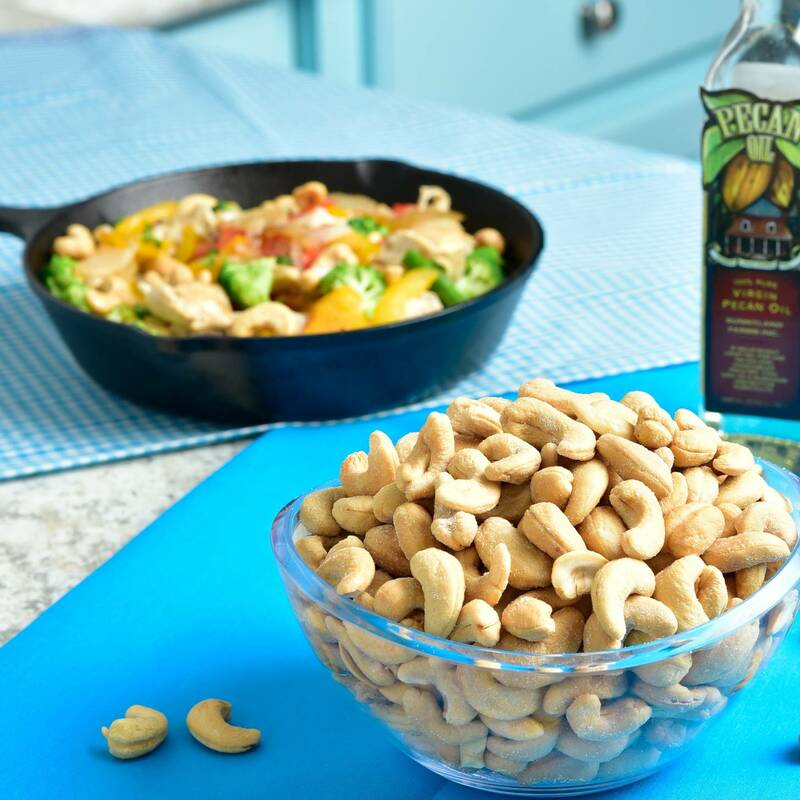 On another plate, place chopped cashews. 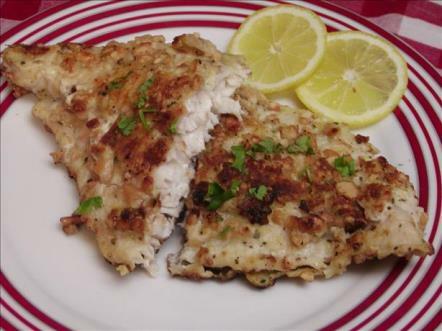 Dredge catfish fillets in flour mixture, dip into egg mixture and coat with chopped cashews. Serve hot with lemon wedges. Beat egg lightly; add milk, salt and paprika. 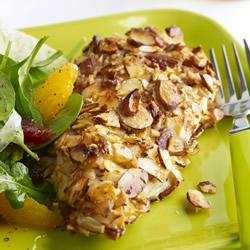 Dip chicken pieces, one at a time into the egg mixture; drain; roll in almonds. Heat oil in shallow baking pan; arrange chicken in pan skin-side up. 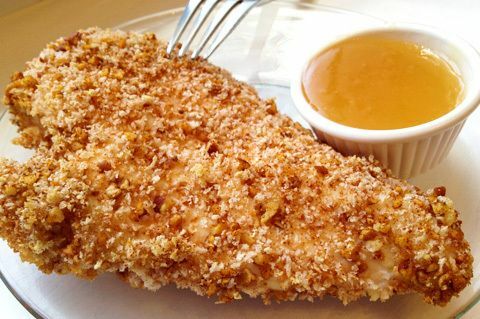 Bake in 375° oven 1-1 1/4 hours, basting twice with oil, until chicken is tender. Serves 4 - 5. We do ship to APO and FPO addresses. We do not ship to foreign addresses. At Sunnyland we fully and unconditionally guarantee each package we ship for you. If a package is lost or damaged or if you are not satisfied, we will replace the package or refund your money.